If you want to get started with primary sources in your classroom but aren't sure where to start, this resource is perfect for you! Primary sources are a wonderful way to encourage critical thinking and valuable group discussions during your social studies lessons. 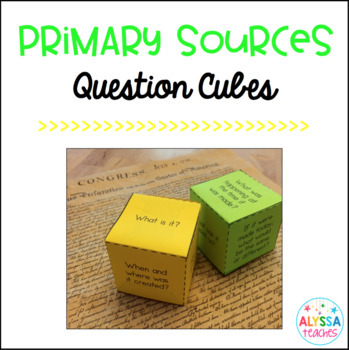 These question cubes can be used with any primary source, like photographs, artwork, documents, maps, artifacts, and music/audio recordings. 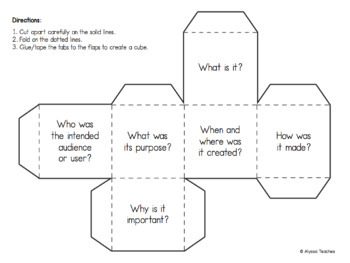 The first cube contains more basic questions, while the second cube will promote more analytical thinking. Use one or both! 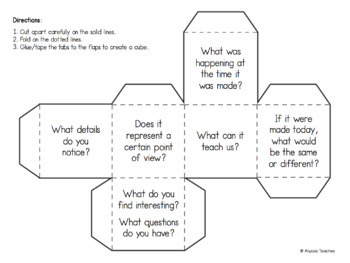 I recommend printing on cardstock and using glue/hot glue to assemble the cubes. If you're looking for in-depth questions for specific types of primary sources, you might like my Primary Source Question Cards & Worksheet! Please CLICK HERE to see more primary source resources!